It's a wonderful piece of news for all who care about having the very best judges on our courts--and who care about the quality and direction of case law in America. Wisconsin's venerable Chief Justice, Shirley Abrahamson, has won another term. A landslide reelection on Tuesday earned Abrahamson her fourth 10 year term on the state's Supreme Court. Actually, what earned the Chief Justice a fourth term is the fact that she is a legal and judicial treasure, not only for her state, but for the entire nation. Among those who study courts in America, state as well as federal, she certainly ranks as one of the country's truly great judges. She would be on any legitimate list of the nation's very best judges. She is extraordinary. Extraordinarily bright, energetic, capable, sensible, effective, influential, etc., etc., etc. Shirley Abrahamson is Wisconsin's first woman Justice and, in a few years, with 37+ years on the state's high court, she will become the longest serving Justice in Wisconsin history as well. Bravo Chief! Mazel Tov! Buona Salute! Christine M. Durham, Chief Justice of Utah. On the state's high court since 1982, and Chief since 2002. 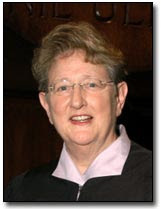 Judith S. Kaye, Chief Judge of New York (Retired 2008). Appointed to the New York Court of Appeals, the state's highest court, in 1983 and elevated to Chief in 1993. 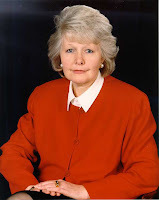 She was the court's first woman and its longest serving Chief Judge. Margaret H. Marshall, Chief Justice of Massachusetts. She was appointed to the Supreme Judicial Court in 1996 and to the position of Chief Justice 3 years later. Ruth V. McGregor, Chief Justice of Arizona. 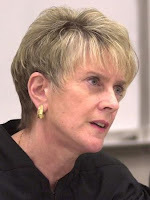 She was appointed to the state's Supreme Court in 1998 and has served as its Chief since 2005. Mary Mullarkey, Chief Justice of Colorado. She has been on the state's Supreme Court since 1987 and been its Chief since 1998. Leah Ward Sears, Chief Justice of Georgia. She is the first woman and youngest person ever to sit on the state's Supreme Court. She has served on the court since 1992, becoming the first African-American to serve as Chief in 2005. Marsha K. Ternus, Chief Justice of Iowa. She has sat on the state's Supreme Court since 1993, and became its first woman Chief Justice in 2006. Jean Hoefer Toal, Chief Justice of South Carolina. She has served on the state's highest court since 1988, and as its Chief since 2000. So there you have 9 extraordinary women. Each is the Chief Justice of her state, presiding over her state's highest court and overseeing its judicial branch. And each is among America's very finest judges. Let me put it bluntly. If these were the 9 Justices on the U.S. Supreme Court, we'd have a much better court. That is not to say that each Justice currently on the nation's highest court suffers badly in comparison to each of the women Chief Justices on my list. By way of example, if Justice Ruth Bader Ginsburg were a state Chief Justice, she surely would be included in my list. But collectively, this group of women Chief Justices would, in my view, constitute a stronger, wiser, more just, and more sensible court of 9 than we now have. But, of course, their states and their state high courts are so much the better because these extraordinary women have served where they have. So CONGRATULATIONS to Chief Justice Shirley Abrahamson, and lots of admiration and gratitude to her and the other Chiefs.